In our house, the way a gift is wrapped is every bit as important as what’s inside. All the fun is in the anticipation! 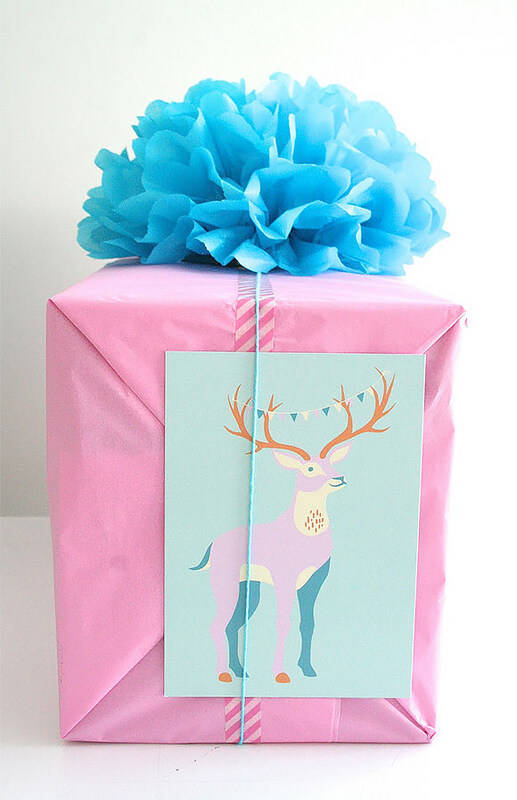 Here are 12 original gift wrapping ideas and techniques to get you inspired. All of the tutorials are from the Finnish blog Oh Package!, one of our new favorite go-to sites for creative packaging ideas. 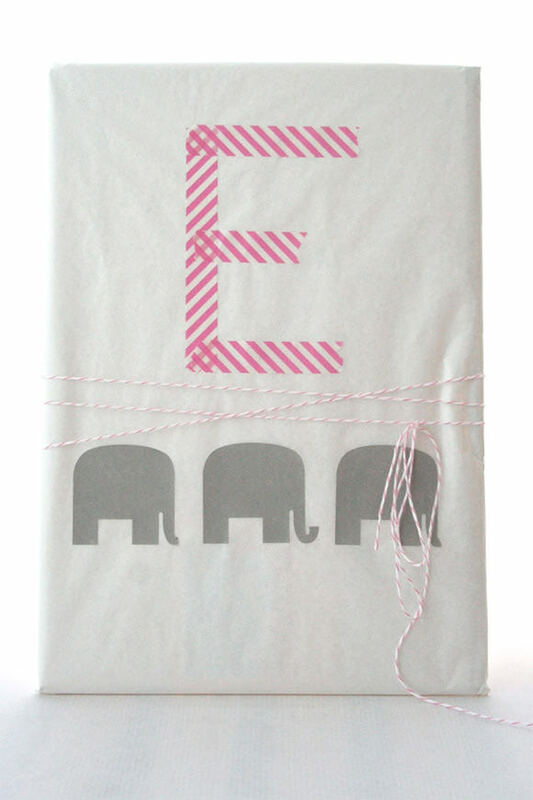 Be sure to check out the fab gift wrap and supplies in the online shop as well! It’s so fun to collect colorful baker’s twine that you end up with far more than needed for cooking. 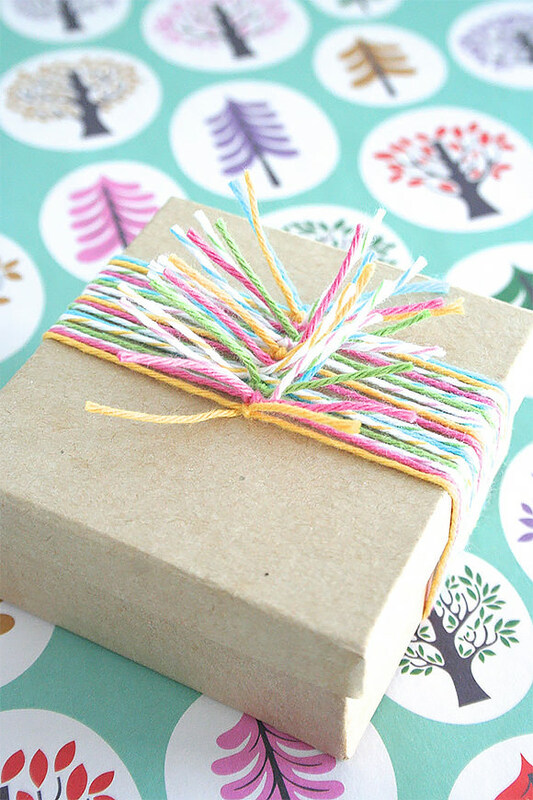 Plus who wants to get turkey juice on candy-striped bakers twine? It’s too pretty for that! So why not dress up a cardboard box or Kraft paper with it? It looks so festive that it works for almost any occasion. Any excuse to collect rolls of colorful Washi tape is a good one. What a great, easy way to personalize a package—and you get to avoid worrying with a tag. 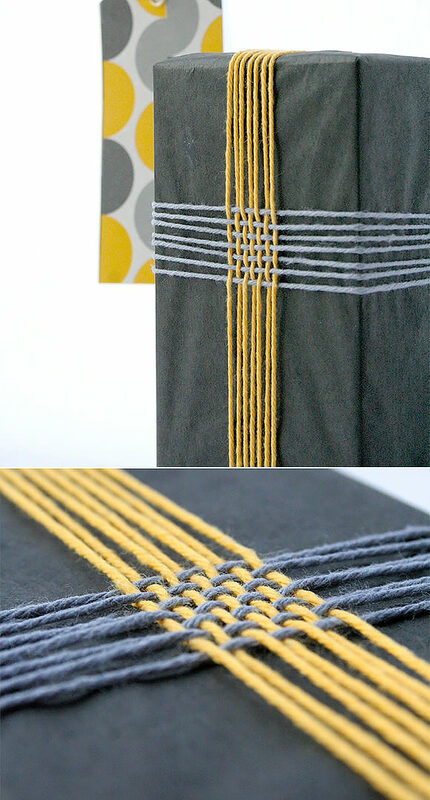 Who knew a simple weave of yarn could look so modern? Getting the recipient to bust through this pretty packaging will take some convincing. Pinwheels are one of those childhood symbols that never loose their magic, and they trump a plain old bow any day. In this tutorial, the process for creating one is shown in just two photos—and once again, you get to make use of more pretty notions: buttons! This technique looks impressively hard, but it’s really super easy! 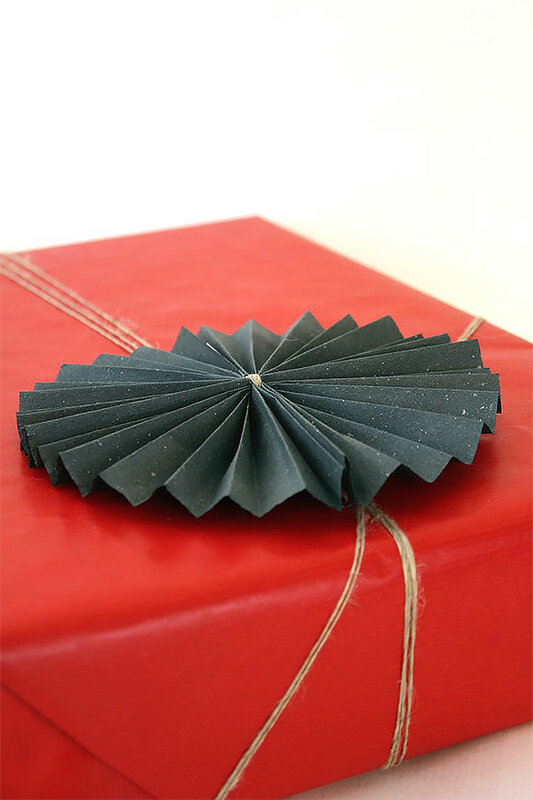 Just fold the paper as shown in the easy-to-follow tutorial, tape the sides, and presto!—another clever alternative to a bow. 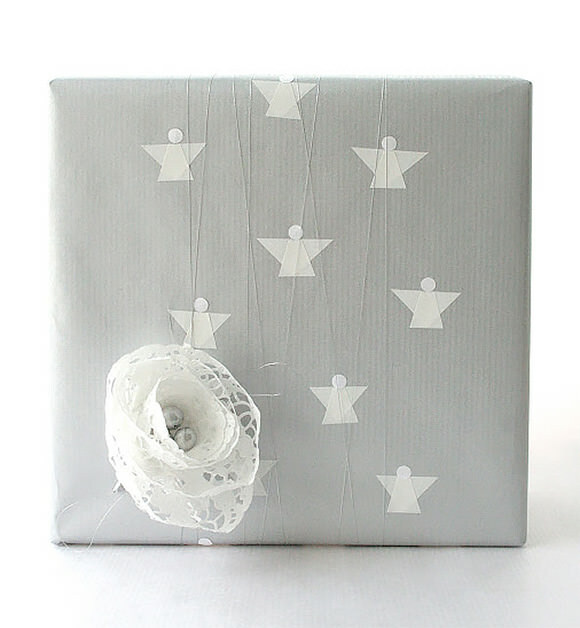 You can create packaging worthy of the MoMA store with these handmade angels paired with delicate silver twine. The sweet little cake paper is the perfect touch too! Accessorizing a larger gift with a mini gift is a fun way to hint at what’s inside or give a trinket that will be cherished, but is perhaps too small to be wrapped. Attractive cooking utensils, ornaments, or toys also work great. This awesome tutorial shows you how to shape an elaborate snowflake design with pins and baker’s twine. 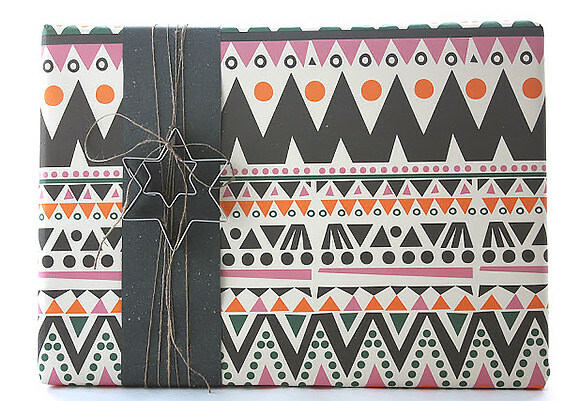 Sprinkle the package with a few cutout dots and you’re set with one beautiful bundle. In five easy steps Oh Package! 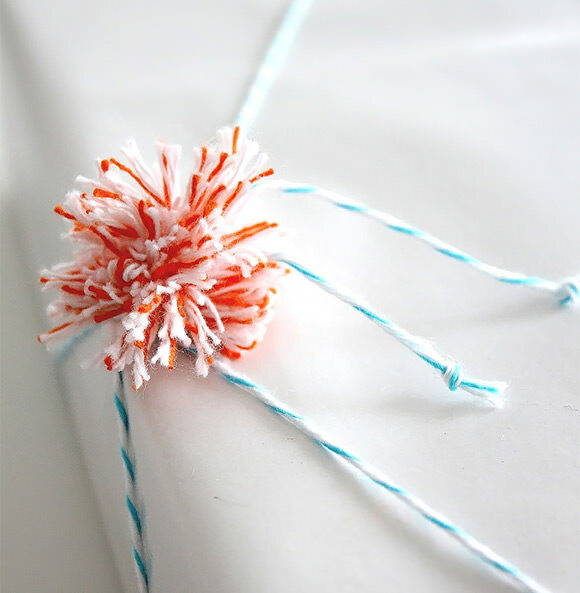 shows you how to use a fork and some twine to fashion a festive Pom-Pom. Why stop with only one when they’re this easy to make? 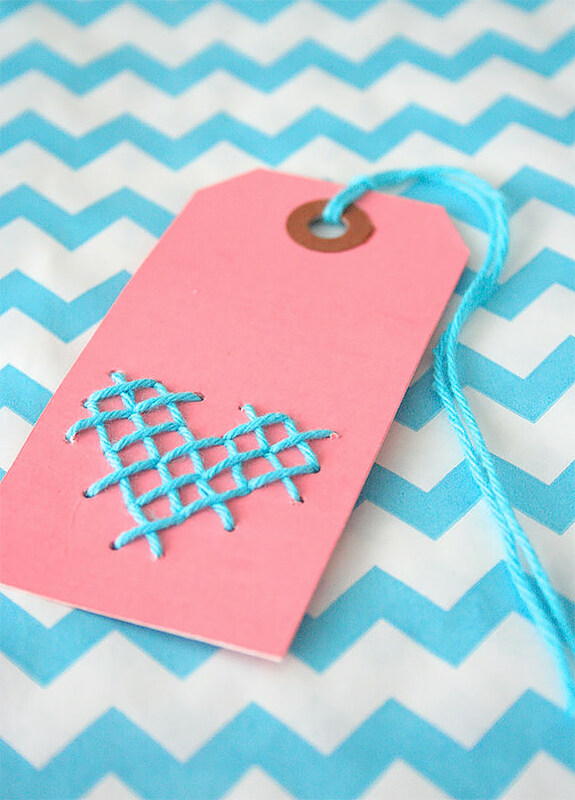 Another great alternative to the ordinary gift tag. All presents would benefit from this heartwarming touch. 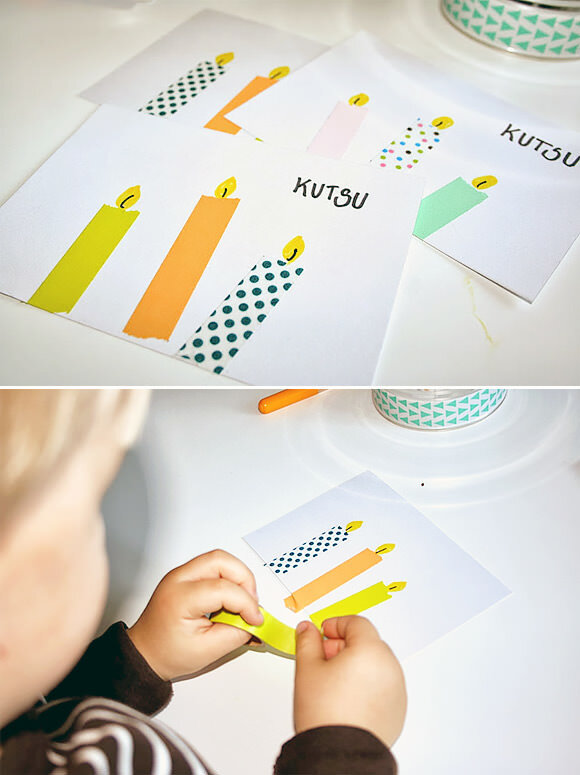 What a great project for little ones to do next time you attend a birthday—it’s a gift all on it’s own. Next time you want to go really bold, forget the yarn and go straight to the tissue paper. This tutorial shows you how to make one big and beautiful package topper. 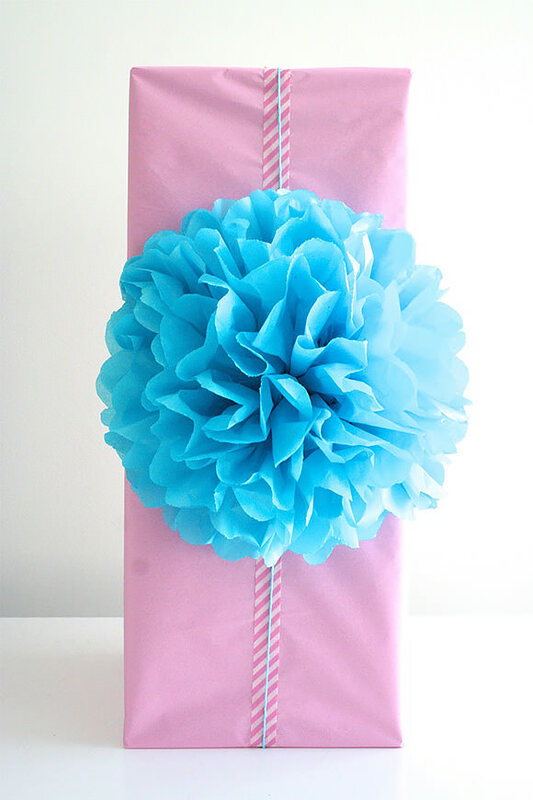 For more great ideas on packaging gifts, be sure to check out the Oh Package! blog! i love the washi tape candle cards! what a fun idea and project for kids. So many lovely ideas! I can’t wait to try some of them! 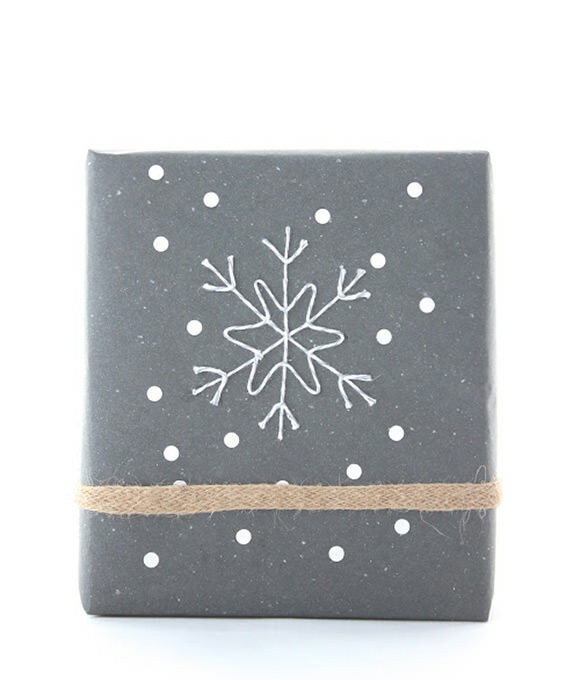 I love the twine snowflake & the washi tape monogram! 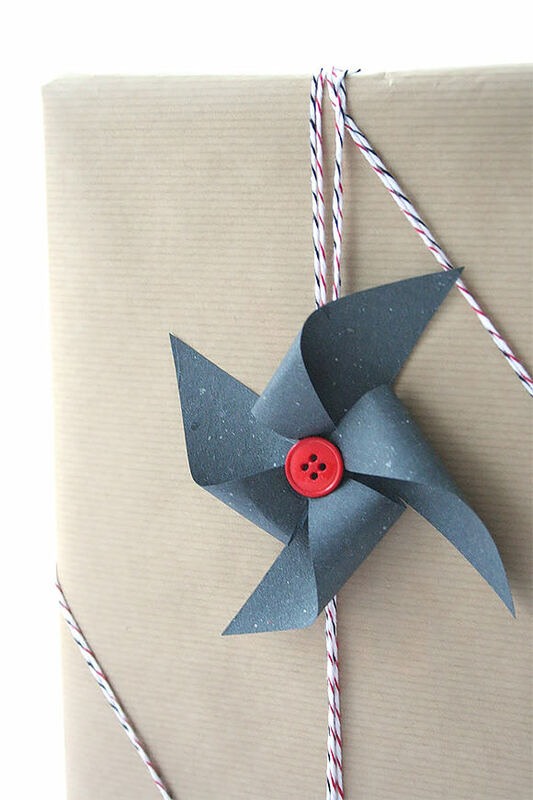 Pin wheel bow is so cool too! Thanks for all the ideas! These are all so delightful! I love what an art form package wrapping can be! I’ve put your link on my blog post at http://tweenselmom.com/2014/02/28/tweens-summer-workshops/. Tell me if it’s ok with you so I can remove it if you don’t prefer appearing on my blogpost.